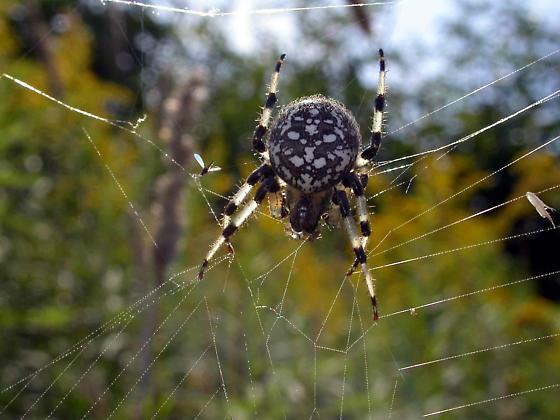 This spider wsa found on a web in tall grass surrounded by goldenrod. My guess is that it is a Shamrock spider (Araneus trifolium) but looking at a number of pictures here and elsewhere I am not sure anymore. Moved from Marbled Orb Weaver. of a beautiful creature. It seems with Araneus there is so much variation that one is always left a little hesitant. Maybe Jeff has seen enough of the variations to be more definite with the ID. But even he complains about the 57 or so species in the genus and all their variation!